Each year we do an annual report and this year the cover is timeless principles the artwork shows some of the parables that cover these timeless principles of long-term thinking. Mike Engel talked about modest independent thinking and being realistic, not deluding ourselves and being prepared to take advantage of opportunities when they arise and having patience. For me personally, it’s been on the job training this is my 30th year with a nearly 50-year-old company. When I started we had about approximately $250 million in assets all in mobile home parks. Now we have about $4-billion in assets in apartments, so we’ve moved on up I guess like the Jefferson’s. I want to talk about some of the lessons learned and my outlook. I’ve been blessed to come up with some of these insights over the years in the ‘School of Hard Knocks’ and experience. In the video, there is a diagram of a funnel that I think is a good representation of how apartment investments actually work. The opening of the funnel represents a wide range of different outcomes that can occur when you first buy a property and then over time as you get to own it, understand it, position it the outcome becomes more predictable. One would think when you buy early on you would actually have more predictability but we’re actually buying a business we’re putting in new staff. The resident base often has to be turned over so a conservative distribution strategy and being well-capitalized is very important particularly in the early years. Over the long run apartments are a really good asset class. They prosper from what I call insecure growth. And I’ll talk about that in a little bit, there’s a lot of insecurity when we’re dealing with political change, technological change, globalization and yet we keep growing and households keep forming. It’s very difficult for apartments to be disrupted by new technology. The United States still has good growth fundamentals although it will be slower than it has been as our society continues to age. Interest rates should stay low because of demographics and I’ll talk about that. Apartments should still provide relatively good returns, I call it the 10% solution and I’ll compare that to some fascinating stock market statistics. The goal is to allow one to get a continued level of comfort about the ability to deploy one’s capital in this type of investment for a long period of time. This is a list I put together. This is the insecure part. These are wars and the first column on many international issues that have occurred since 1987 when I started with the firm Berlin Wall falling collapse of the Soviet Union the Gulf War, September 11, Arab Spring, Syrian Civil War, Yemen’s Civil War a Russian takeover of Georgia. The list goes on and on. There are natural disasters Hurricane Hugo, Andrew, Katrina. The tsunami that killed 280,000 people. The economic issues the stock market crash, the RTC SNL collapsed, long-term capital blow up, tequila crisis in Mexico, Drexel Burnham going bankrupt and the list goes on and on and yet we keep growing. This is a population that’s occurred or the population growth that’s occurred since 1987. You have all the insecurity going around going on in the background and meanwhile, our population has grown by about 80 million people during this period of time. These companies have approximately 1.6 trillion dollar market cap (April 2017). What should be considered a startup – Apple was and now has a $744 billion market cap. Think about it, when Steve Jobs took over, Apple was nearly bankrupt and we all know what Apple has done since then. What do they all have in common? They’re creative disruptors and they have changed the face of business, society how we interact, how we communicate, and how we live our lives and they have added huge value yet they’ve disrupted companies we knew that couldn’t keep up that are no longer here. This is a headline I saw in business insider “AT&T Just Completed A First-Of-Its-Kind Test and Cisco should be terrified.” That’s frightening. I mean Cisco is a multi-billion dollar company and to think that perhaps there’s a technological breakthrough that could render much of what they do obsolete. So fortunately you know we don’t really have to deal with that in apartments. Apartments are not easily disrupted! You know we have favorable trends there’s growing population a shrinking household size which leads to more household formations per a unit of population growth, delayed marriages, student loan issues and tight mortgage market. Since I started with CWS the population has grown by about 80 million people. About 36 million new households were formed during that time and importantly the number of people per household has dropped quite significantly from 2.71 to 2.55. At the margin, the new households being formed are averaging about 2.22. This is really helpful for a business like ours that is seeking to capitalize on more demand than there is supply. The average household size has dropped and part of it is because you’re seeing fewer family households and the rise of living alone is a much more significant trend. The number of married households has continued to drop over the years and non-family households have risen. The poor millennials when they’re compared to baby boomers just don’t stack up. They own far fewer homes and they are not having families like the baby boomers were and far fewer of them are married. You can see there’s a big difference which all helps apartments and the demand for rentals and more of them are still living at home which one may say it’s too bad for the parents but it’s good for us eventually when they do move out because they’ll probably go rent an apartment. It’s called “Failure to Launch“. Meanwhile, we have the student loans that were about $500,000,000 five hundred billion dollars in 2006 now they are $1.4 trillion today. That buying power has fed huge inflation in tuition. Tuition costs have risen dramatically. It’s a lot like the subprime crisis where you had this easy money that was accessible that fueled a huge demand for housing pushed up prices and then the loans went bad. The loans were pretty much owned by the government so there’s not as much systemic risk as there was when the loans were in the private sector for housing. But it’s a big issue and the average loan is about $35,000 and you can see how it continues to grow. Fed member Dudley said, “student loan debt may mean fewer homeowners expensive schools and less consumer spending.” But there still is a premium for those people that end up getting a degree. You just have to manage how much debt you take on. So, it’s important for people to pursue their education because there is a wage premium and those that do not pursue their education beyond high school are typically more stagnant when it comes to their earnings. When it comes to housing I mentioned the mortgage market remains tight. The average FICO score for conventional purchased mortgages. It’s really stayed in the high 700-755. You would shutter if I showed you the FHA FICO score, it’s very low. Fortunately, it’s not a huge enough market share to make a meaningful difference in terms of impacting apartment demand. We have a lot of powerful trends that are favoring more demand for apartments. Charlie Munger calls this the “Lollapalooza Effect”. 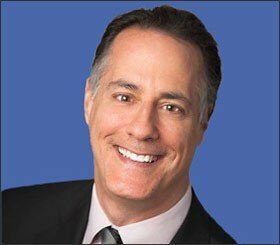 You have the collapse in housing. You have all these disparate forces come together and produce a very powerful outcome. So we had the mortgage crisis subprime crisis. People lost their homes. People are less inclined to rent. Student loans make it hard to qualify for a mortgage. The mortgage market remains tight. You have a growing demographic all this becomes the Lollapalooza Effect which translates into homeownership rate that has dropped significantly since 2005. The national income that goes to rental income was pretty flat about $200 billion a year or so and now it’s gone up to almost $800 billion. So we’ve become much more of a renter/landlord society. So, where do we go from here? These are growing markets with a high tech worker base state capitals well-educated workforce a magnet for young people to move to that’s those are, we saw that wage premium for education that’s what we are banking on is that we want to be where the highly desirable well-educated younger people are moving to. This is that U.S. population projection thru 2060. The projection is that we are supposed to grow by about 100 million people. This is our share of our CWS markets. Market share of the U.S. population you can see it’s grown nicely we’re capturing more and more market shares. So, what I did was I said if the U.S. is going to grow at this rate and the historical growth rate of our markets is at a premium relative to the U.S. I wanted to forecast what our markets look like over the next 44 years or so. But basically, our markets have grown by about 1.9% per year in population from 2010 to 16. The U.S. population is projected to grow at a slower rate. I move this down to 1.3%. If our markets produce population growth the 31 million people in our household size is two and a half. Now remember at the margin it’s about 2.22 so I’m trying to be more conservative. That should produce in our markets over 12 million households or about 279 thousand a year. The permits for new housing in our markets in 2015 were 257,000 and about 280,000 the last 12 months. The whole point of this is in a very insecure world of disrupting disruptive technology. We feel like we’re in markets and in a business that should have pretty reliable long-term demand. I’m saying over the next 40 years or so should be about 280,000 units per year. That’s a good place to be. The same time our markets can cycle you know there can be too much supply or not enough supply and right now lenders are pulling back on construction loans they’re becoming much more conservative and are tightening up credit standards for developers. The demand for loans among borrowers is dropping and we think that’s become because loans are more costly. It requires more equity to do the construction of a new apartment community and the equity is harder to get. So all of this talks about a slowing probably of new supply. So here we are with pretty good demand fundamentals a more challenging construction loan market and the prospect of a little less supply. So for us in a bit of an unstable insecure world, this feels like a pretty good place to be. So what about interest rates. An important big component in how real estate is valued and especially us being large floating rate borrowers we pay close attention to interest rates. So will this continue? The 10-year Treasury has been on a continuous downtrend since 1981. People that have been betting against this have not done as well as those that have been betting that this trend would continue. There’s a big correlation between interest rates and economic growth. And you can see our current recovery is the slowest post-war recovery that we’ve had. And it’s not a surprise that interest rates have been as low as they are. One of the issues has been a declining productivity growth. If you have two ways to produce more output, you have more bodies working more hours and or they’re more productive they can produce more with less. Productivity is a challenge. What about the number of people entering the workforce that are 20 to 64, prime working age, is going to be growing at a much slower rate. It’s already been dropping. So, you put all that together. And even though this forecast goes to 2020 not that far out but it still shows why we’ve dropped quite a bit in our growth rate and it doesn’t look like we’re going to grow much more significant because of the demographic and productivity factors. Let’s add a political situation to the mix. Partisan conflict is at record levels. I don’t think that surprises anyone here. So it becomes more difficult to get things done and I think that’s another impediment to faster growth. Some of the deflationary trends that we have are robotics, automated vehicles, artificial intelligence more people working in part-time jobs versus full time and then more of our economy being globalized where there are more competitive forces. This is a fascinating piece of information. JP Morgan put together an artificial intelligence system to do some of their legal work much more efficiently. So what took 360,000 man hours by their legal team now takes seconds to do because of their artificial intelligence so if that’s not a disruptive technology I don’t know what is. This is something very important here is the aging of our society. The US population the younger age 0 to 14 is only supposed to grow by about five million people or so which is 9 % but 65 plus is going to grow by thirty-eight million or 78 %. This is not just a United States phenomenon. When you overlay China, India, Germany and Japan the younger population drops 13 percent to 65 plus goes up 132% or over 420 million people. So why is this important and how it relates to interest rates? This chart to me is the money chart. 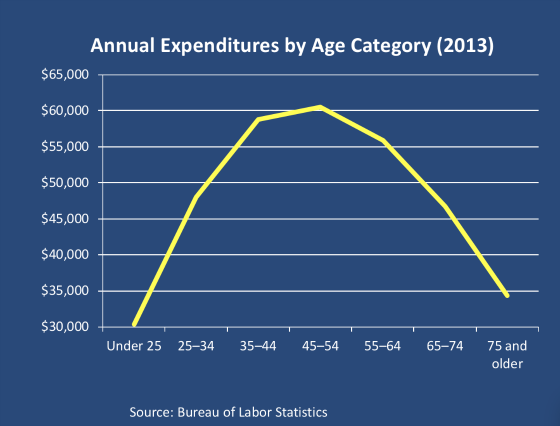 This is the annual expenditure by age category and you can see that people peak 45 to 54 and then it drops pretty significantly thereafter. So with a rapidly aging domestic population and world population spending will be pressured and the demand for yield and savings you know is going to be tremendous. So all of that comes together for me to say I don’t think rates are going to be materially higher as we look forward. All this adds up to is slower growth, continued low-interest rates subdued returns and yield with some growth and safety. That’s the holy grail. I call apartments the 10% solution. Shield yourself from disruption. Throw in some growth. Mix in some low-cost leverage. Throw off some dividends and utilize some tax benefits. And as a result, if you can get 3% annual growth 65% leverage at a rate of 4 1/2 even though our current rates today are probably 3 1/4 cap rates don’t change. That produces an annual return. Cash flow an appreciation of about 10% with about 60% of that from cash flow and 40% from appreciation in its very tax efficient. You know historically we’ve done better than that. But if you take a look at the world that’s not a bad place to be or a set of opportunities that could be available. What about stocks? This is pretty fascinating. 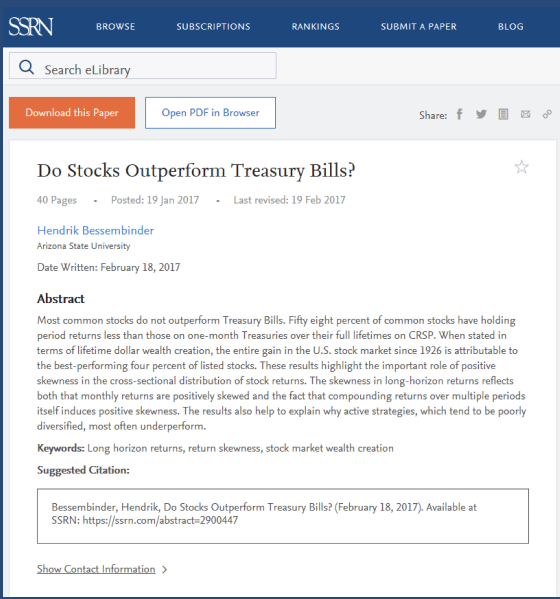 I saw this report and read it really mind blowing it says do stocks outperform Treasury bills which is kind of a silly question because why wouldn’t they. I mean Treasury does or risk-free either short term of course stocks should outperform them they’re a much higher risk you own part of the company. Some of the key findings of this report are most stocks do not outperform Treasury bills only 42% of every stock that was analyzed of 26,000 stocks from 1926 to 2015 outperformed Treasury bills in their lifetime. The average stock had a shelf life of a little more than seven years. Talk about disruption, and of the 26,000 stocks in the database. They produce 32 trillion in wealth which is wealth above T-bills. Eighty-six of those produced over 50% of the wealth and a thousand produced a 100% of the wealth. Less than 4% of the database. It is hard, so this tells you to want to be diversified if you can be in the market and it’s hard it’s hard to pick winners but what if. The graph above is of that dispersion of those outcomes. 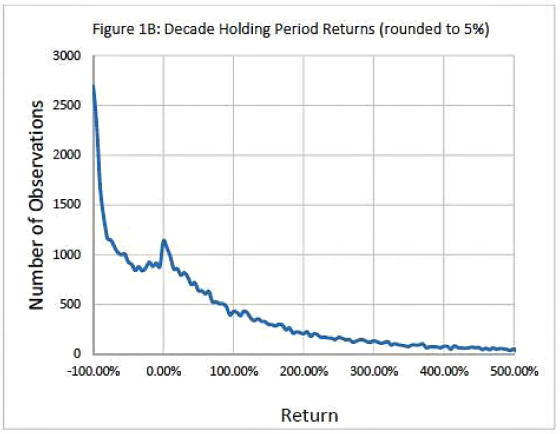 You can see the number of observations goes vertical and then the return is on the on the x-axis the horizontal axis in so many of the stocks you know got completely wiped out and it’s only you know after a thousand or less you could see that the cumulative returns over a decade holding periods become positive. It’s challenging. The American economy is very dynamic and it’s very competitive. You know it is survival of the fittest. But what if you pick a winner like Amazon. You know this is an incredible stock right. I mean changing the world. Look how well the company has done. Question is could you have stayed the course with a 57% drop in 1999 a 94% drop in 2000, 56% drop in 2003 to 6 and a 60% drop in 2007 and 2008. Most of us couldn’t stay the course is very challenging. CWS perspective: We sold 69 apartment communities since 1996 all of them generated positive returns and the average IRR was in excess of 14%. So why apartments can’t be easily disrupted. They serve a basic need. They offer flexible housing choices with minimal capital required among the residents. If you’re in growing areas with strong locations, they tend to become more valuable over time natural barriers end up arising. It’s correlated economic growth. There’s very favorable demographics benefit from the social trends I talked about. They produce yield which is tangible return in your pocket that you can do something with that often times is higher than T-bills so you are already ahead of the game. And then there are great tax benefits as Bill alluded to. A past AIM speaker who was here a number of years ago said this and it still holds true. So all this means lower for a lot longer low growth low inflation and low-interest rates from an investment strategy standpoint it’s all about safety and income at a reasonable price all over again. That was David Rosenberg. I wanted to kind of match or combine the head with the heart in this presentation. So that was very analytical and intellectual and I want to end it with our purpose statement which is enhancing lives the CWS way. And Bill brought up some very poignant and real stories of our investors in terms of how we’ve been able to make a difference in their lives and enhance their lives. So now I want to turn to lessons learned from Nobel Laureate Bob Dylan. And I think. you’re going to see here this is very meaningful and has great application to CWS and that’s how I’m going to end the presentation tonight. Everybody has a calling, don’t they? Some have a high calling some have a low calling. Everybody is called but few are chosen. There’s a lot of distraction for people, so you might not ever find the real you. How would you describe your calling and this is what I think really applies to CWS. Mine? Not any different than anybody else’s. Some people are called to be a good sailor some people have a calling to be a good tiller of the land. Some people are called to be a good friend. You have to be the best at whatever you are called at. Whatever you do you ought to be the best at it. Highly skilled. It’s about confidence, not arrogance. You have to know that you’re the best whether anybody tells you that or not and that you’ll be around in one way or another longer than anybody else. Somewhere inside of you, you have to believe that. So for us, we actually have a few mantras that we don’t always publicly say but we say we want to be the best damn management company in the world that’s what we tell our people and hold our standards too. We want to be the best place for individual investors to invest in apartments and we want to be the best place to work. And we’ve been honored by a few publications for being one of the better places to work in many of these cities. So I want to say that you know it’s not just about making money. It really is about being in a business that serves a wonderful need for society and we like to say we’re involved into the most intimate piece parts of people’s lives where they live and their money. And if we can do great work for our residents and offer safe vibrant communities and be able to make a difference in our investors lives like Bill had talked about. There’s really no more rewarding career to have been involved in for the last 30-years so thank you for being a part of my life and letting me be a part of yours. Did you watch the video and read the recap? What was the highlight for you? ‹ The Compounding of Intelligence – Is Wealth The Key? Gary, I really enjoyed your narrative, and this time I think that I was able to actually absorb most of it. For me it seems like the low interest rates are a real key at the moment considering all of the floating interest loans that we have at CWS, a few points up can be dramatic with our cash flow. If that happens, I would think that it would provide some significant inflation which could also work for us when we sell. The student loan situation is very interesting to me, because I can’t imagine this will be politically tolerated for long, it is just not in our best interest to have students trying to better themselves and then incurring this highly significant debt. Something has to change and that change might affect apartment occupation.